Bright color music player vector graphics. Device with minimal design manufactured by Apple. 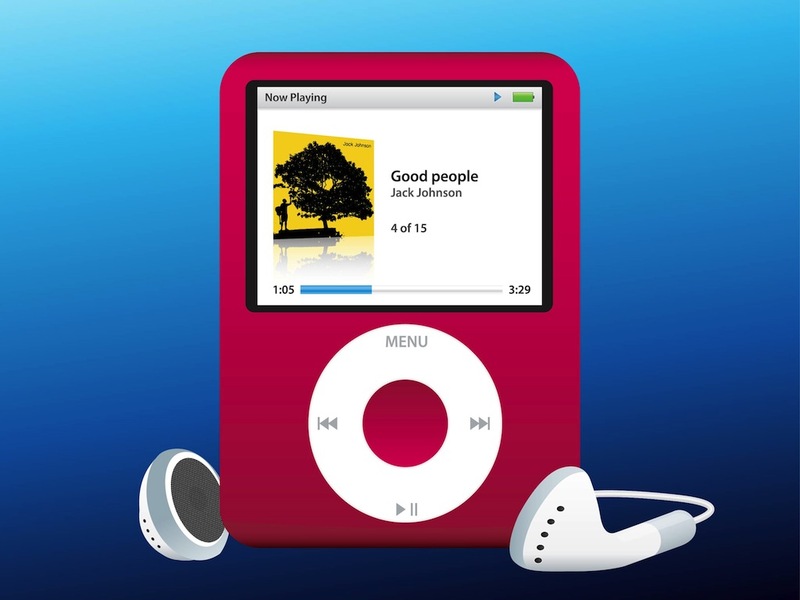 Round click wheel with control buttons for the music player, colorful screen showing the song Good people by Jack Johnson. Free vector illustration of an iPod with Apple earphones for all music, gadgets and tech projects. Tags: Apple, Buttons, Device, Gadget, Music Player, Technology.